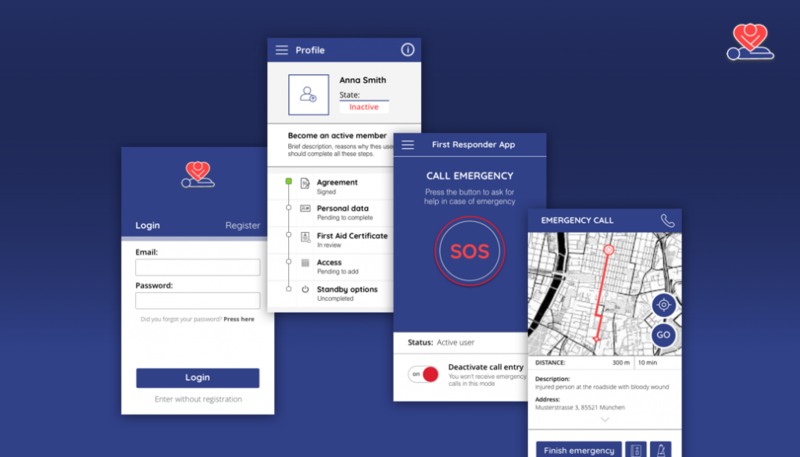 First Responder App is an app which aims to reduce the risk in heart attack accidents by contacting “First responders” who are close to the accident and who can performance first aid maneuvers to the person who suffers the attack. 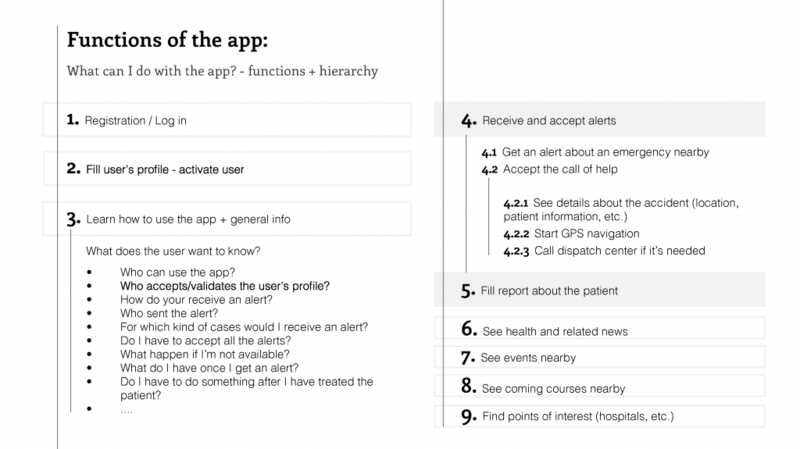 By doing that it’s possible to gain some valuable minutes before the ambulance comes. 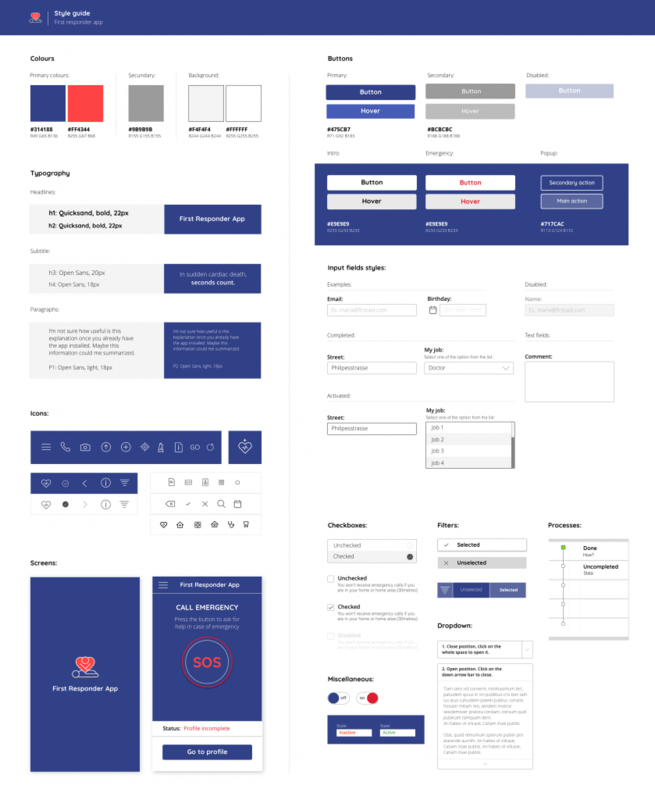 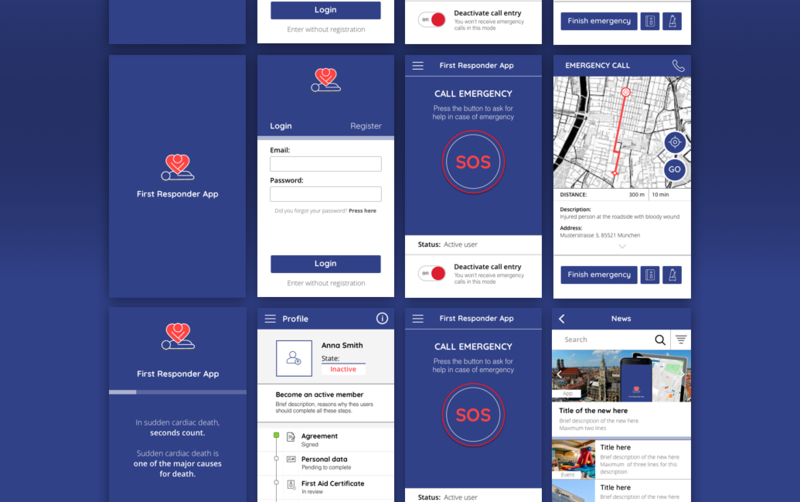 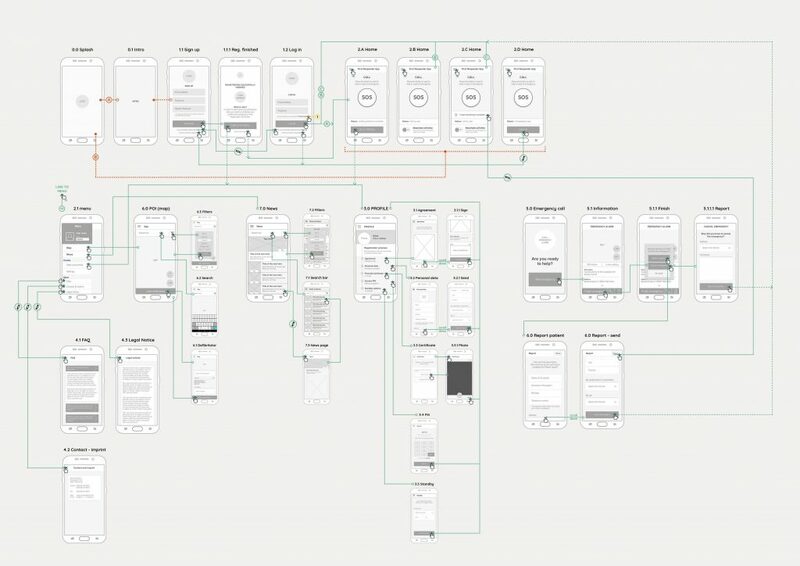 My task in this project was to make an easy to use, intuitive and visual design for the app in order to make more people willing to use it and spread the number of First responders.